1. Website Terms and Conditions of Use; Amendment by Car-Part.com. Your use of this website and any of the products, services and/or materials of Used-Car-Part.com, Inc., a Kentucky corporation doing business as Car-Part.com ("Car-Part.com"), contained on this website are subject to these Terms and Conditions of Use (the "Website Terms"). You may be required to complete and submit a registration or product/service order (a "Registration") in order to access certain of the products, services and/or materials of Car-Part.com contained on this website. Any different or additional terms and conditions you might add to any written or online registration, product/service order, related documentation, or other communications are hereby expressly rejected by Car-Part.com and not binding upon it. Car-Part.com hereby reserves the right to: (i) accept or reject any such Registrations in its sole discretion; and/or (ii) deny access to this website and the products, services and/or other materials of Car-Part.com contained on this website in its sole discretion. Car-Part.com reserves the right to modify the Website Terms from time to time without notice to you. You may view the current version of the Website Terms by clicking on the "Website Terms" hyperlink text at the bottom of the web pages included within this website. 2. Master Customer Agreement; Applicable Terms and Conditions. Car-Part.com provides its product and services upon the terms and conditions set forth in its Master Customer Agreement. If you order or obtain any products and/or services of Car-Part.com (whether pursuant to completion of a Registration on this website or otherwise), any and all such products and/or services will be provided to you on the terms and conditions set forth in the Master Customer Agreement. Any terms and conditions relating to the use of such products and/or services that are (i) set forth in these Website Terms, (ii) set forth elsewhere on this website, (iii) set forth in separate written license agreements for any such product and/or service, (iv) set forth in click-through license agreements for any such product and/or service, (v) set forth in separate written terms and conditions applicable to the provision or use of any such product and/or service, (vi) displayed, referenced, and/or identified within any such product and/or service, and/or (vii) made known to you by Car-Part.com in any other manner, are in addition to (and not in lieu of) the terms and conditions set forth in the Master Customer Agreement (the terms and conditions applicable to any such product and/or service (whether set forth in the Master Customer Agreement in one of the other methods set forth in clauses (i) - (vii) above) being referred to as the "Applicable Terms and Conditions"). This website allows you to download certain software (the "Software"). Any Software available to be downloaded from this website is a copyrighted work of Car-Part.com. Your use of any such Software is subject in all respects to the Applicable Terms and Conditions. By downloading any Software from this website, you expressly agree to be bound by the terms and conditions of the Master Customer Agreement and any other Applicable Terms and Conditions. The Software is available for download on this website solely for use by end users in accordance with the Applicable Terms and Conditions. Any copying, reproduction or redistribution of the Software is expressly prohibited. You are expressly prohibited from disassembling, reverse compiling, decompiling, reverse engineering, modifying, or translating any Software, in whole or in part. You are also expressly prohibited from creating, preparing or enabling derivative and/or collective works based on the Software (or any portion thereof). Furthermore, you shall not remove, alter or destroy any copyright notice, proprietary marking or other legend placed on or contained within the Software. ANY REPRESENTATIONS AND/OR WARRANTIES OF CAR-PART.COM WITH RESPECT TO ANY SOFTWARE (IF ANY) SHALL BE SET EXPRESSLY FORTH IN ONE OR MORE WRITTEN AGREEMENTS EXECUTED BY YOU AND CAR-PART.COM. OTHER THAN SUCH REPRESENTATIONS AND WARRANTIES OF CAR-PART.COM EXPRESSLY FORTH IN ONE OR MORE WRITTEN AGREEMENTS EXECUTED BY YOU AND CAR-PART.COM, CAR-PART.COM HEREBY DISCLAIMS ANY AND ALL REPRESENTATIONS AND WARRANTIES REGARDING THE SOFTWARE (WHETHER EXPRESS, IMPLIED OR STATUTORY), INCLUDING, WITHOUT LIMITATION, ANY AND ALL WARRANTIES OF MERCHANTABILITY, FITNESS FOR A PARTICULAR PURPOSE, TITLE AND NON-INFRINGEMENT. This website allows you to view and/or download certain manuals, documentation, product screen shots, product guides, service guides, descriptions, user tips and other materials (the "Documentation"). Any Documentation available to be viewed and/or downloaded from this website is a copyrighted work of Car-Part.com. Your use of any such Documentation is subject in all respects to the Applicable Terms and Conditions. By viewing and/or downloading any Documentation from this website, you expressly agree to be bound by the terms and conditions of the Master Customer Agreement and any other Applicable Terms and Conditions. The Documentation is available for viewing and/or downloading on this website solely for use by end users in accordance with the Applicable Terms and Conditions. Any copying, reproduction or redistribution of the Documentation is expressly prohibited. The Documentation is particularly sensitive confidential and trade secret information of Car-Part.com. You may only use the Documentation to learn about the features of products and/or services of Car-Part.com and how to use such features. You shall not use the Documentation for any other purpose whatsoever (including, without limitation, to create or modify software or services that perform the same or similar function(s) as any product and/or service of Car-Part.com). Except as required by law, you shall not disclose the Documentation to any other person (or allow others under your direction or control to do so). You shall: (i) keep the Documentation confidential; (ii) restrict disclosure of the Documentation to those of your employees who have a need to view or use such Documentation in order to perform their duties; (iii) maintain agreements with your employees requiring them to protect the confidentiality of the Documentation; (iv) not remove, alter or destroy any copyright notice, proprietary marking or other legend placed on or contained within the Documentation; and (v) not disclose the Documentation to any web hosting provider, software developer, or salvage yard management system provider. ANY REPRESENTATIONS AND/OR WARRANTIES OF CAR-PART.COM WITH RESPECT TO ANY DOCUMENTATION (IF ANY) SHALL BE SET EXPRESSLY FORTH IN ONE OR MORE WRITTEN AGREEMENTS EXECUTED BY YOU AND CAR-PART.COM. OTHER THAN SUCH REPRESENTATIONS AND WARRANTIES OF CAR-PART.COM EXPRESSLY FORTH IN ONE OR MORE WRITTEN AGREEMENTS EXECUTED BY YOU AND CAR-PART.COM, CAR-PART.COM HEREBY DISCLAIMS ANY AND ALL REPRESENTATIONS AND WARRANTIES REGARDING THE DOCUMENTATION (WHETHER EXPRESS, IMPLIED OR STATUTORY), INCLUDING, WITHOUT LIMITATION, ANY AND ALL WARRANTIES OF MERCHANTABILITY, FITNESS FOR A PARTICULAR PURPOSE, TITLE AND NON-INFRINGEMENT. This website allows you to use and/or obtain access to certain services, including, without limitation, product and service support services (the "Services"). Your use of any such Services is subject in all respects to the Applicable Terms and Conditions. By using any of such Services, you expressly agree to be bound by the terms and conditions of the Master Customer Agreement and any other Applicable Terms and Conditions. ANY REPRESENTATIONS AND/OR WARRANTIES OF CAR-PART.COM WITH RESPECT TO ANY SERVICES (IF ANY) SHALL BE SET EXPRESSLY FORTH IN ONE OR MORE WRITTEN AGREEMENTS EXECUTED BY YOU AND CAR-PART.COM. OTHER THAN SUCH REPRESENTATIONS AND WARRANTIES OF CAR-PART.COM EXPRESSLY FORTH IN ONE OR MORE WRITTEN AGREEMENTS EXECUTED BY YOU AND CAR-PART.COM, CAR-PART.COM HEREBY DISCLAIMS ANY AND ALL REPRESENTATIONS AND WARRANTIES REGARDING THE SERVICES (WHETHER EXPRESS, IMPLIED OR STATUTORY), INCLUDING, WITHOUT LIMITATION, ANY AND ALL WARRANTIES OF MERCHANTABILITY, FITNESS FOR A PARTICULAR PURPOSE, TITLE AND NON-INFRINGEMENT. 6. User Account and Password. You may be required to register in order to access and/or use certain portions or features of this website. If required to register, you are required to complete the registration process by providing complete and accurate responses to the information requested in the registration process. In the registration process, you will be assigned (or required to select) a user name and a password. You are entirely responsible for: (i) maintaining the confidentiality of your user account (including, without limitation, your user name and password); and (ii) any and all activities (including, without limitation, orders or purchases for products and/or services of Car-Part.com) that occur under your user account. 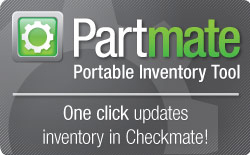 You are required to promptly notify Car-Part.com of any unauthorized use of your account; provided, however, that Car-Part.com shall not in any event be liable or responsible for any loss that you may suffer as a result of another person using your user account (whether with or without you knowledge). You are prohibited from using this website or any products and/or services of Car-Part.com in any manner (or for any purpose) that is unlawful or prohibited by the Applicable Terms and Conditions. Furthermore, you shall not: (i) use this website or any products and/or services of Car-Part.com in any manner that could damage, disable, overburden or impair any of Car-Part.com's servers; (ii) use this website or any products and/or services of Car-Part.com in any manner that could interfere with any other person's use or enjoyment of this website or any products and/or services of Car-Part.com; (iii) attempt to gain unauthorized access to any products and/or services of Car-Part.com, the user account of any other person, and/or the servers, networks and/or computer systems of Car-Part.com through any means whatsoever (including, without limitation, password mining and hacking); or (iv) attempt to obtain access to any of the products and/or services of Car-Part.com (including, without limitation, the Software, the Documentation, and/or the Services) through any means not intentionally made available by Car-Part.com. This website, certain other websites of Car-Part.com, and the products and/or services of Car-Part.com enable you to communicate with others (whether by way of website postings, bulletin boards, chat rooms, instant messaging, e-mail services or other means). You shall not use any such websites, products and/or services to communicate in any manner that: (a) violates any applicable laws; (b) is fraudulent; (c) infringes any third party's contract, copyright, patent, trademark or trade secret rights, or other intellectual property rights; (d) is defamatory, libelous or threatening or harassing; (e) is obscene; or (f) contains any viruses or other computer code that is intended to damage or disrupt any system or that intercepts or expropriates any data or information. Car-Part.com does not have an obligation to monitor the communications made by any person(s) on (or using) its websites, products and/or services. However, Car-Part.com reserves the right to review any and all such communications and to remove any communications and/or materials which it determines (in its sole discretion) to violate any Applicable Terms and Conditions. This website displays the pricing for certain of Car-Part.com's products and/or services and the system requirements relating to certain of the products and/or services of Car-Part.com. Unless otherwise specifically stated, the prices displayed on the website are in U.S. dollars ($). 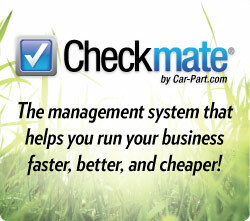 Car-Part.com reserves the right to change such pricing and system requirements at any time without notice to you. This website may contain links to websites maintained by other persons. If you click on any such link, you will leave this website. The linked websites are not under the control of Car-Part.com and Car-Part.com is not responsible in any manner for the contents of any such linked website. Certain websites, products and/or services of Car-Part.com use SmartVin and the Car-Part Interchange (which may incorporate or be based on the Hollander Interchange (the Hollander Interchange being used pursuant to a license from Claims Services Group, Inc.)). SmartVin and the Car-Part Interchange are proprietary information, copyright Car-Part.com. The Hollander Interchange is proprietary information, copyright Claims Services Group, Inc. You are prohibited from using any SmartVin information, Car-Part Interchange information or Hollander Interchange information obtained through its use of this website, any other website of Car-Part.com, or any product and/or service of Car-Part.com for any purpose other than purposes expressly permitted under the Applicable Terms and Conditions. You shall not use this website, any other website of Car-Part.com, or any of the products and/or services of Car-Part.com (or any information obtained by you in connection with your use of this website, any other website of Car-Part.com, or any of the products and/or services of Car-Part.com): (i) for the purpose of copying all or any substantial part of SmartVin, the Car-Part Interchange, or the Hollander Interchange; (ii) for the purpose of decompiling or reverse engineering SmartVin, the Car-Part Interchange, or the Hollander Interchange; (iii) in any way that violates Car-Part.com's copyright or other rights in and to SmartVin or the Car-Part Interchange; or (iv) in any way that violates Claims Services Group, Inc.'s copyright or other rights in and to the Hollander Interchange. 11. Your Indemnification of Car-Part.com. You shall indemnify Car-Part.com and its successors and assigns and their respective officers, directors, employees, subcontractors, consultants, representatives and agents and shall hold them harmless from, against and in respect of any and all costs, losses, claims, liabilities, fines, penalties, damages and expenses (including interest which may be imposed in connection therewith and court costs and reasonable fees and disbursements of counsel) incurred by them due to, arising out of, or in connection with (i) your failure to fulfill any of the provisions of the Applicable Terms and Conditions, (ii) your breach of any of your representations, warranties, covenants, or agreements set forth in the Applicable Terms and Conditions, (iii) any action relating, directly or indirectly, to errors or omissions in products and/or services provided by you to your customers, (iii) you infringement of any of the products, services, websites, documentation or other materials of Car-Part.com (including, without limitation, SmartVin or the Car-Part Interchange), or (iv) any claim that you infringed on the Hollander Interchange. Furthermore, you shall defend or settle any such action at your sole cost and expense; provided, however, that Car-Part.com shall be entitled to participate in such defense (at your cost) and shall have the right to approve any such settlement. 12. Limitation of Car-Part.com's Liability. NEITHER CAR-PART.COM NOR ITS SUPPLIERS WILL BE LIABLE FOR ANY SPECIAL, INCIDENTAL, CONSEQUENTIAL OR EXEMPLARY DAMAGES, INCLUDING, WITHOUT LIMITATION, ANY LOSS OF PROFITS, DATA, BUSINESS GOODWILL OR REPUTATION THAT YOU, YOUR SUPPLIERS OR YOUR CUSTOMERS MAY SUFFER, DIRECTLY OR INDIRECTLY, AS A RESULT OF YOUR USE OF THIS WEBSITE, ANY OTHER WEBSITE OF CAR-PART.COM, OR ANY PRODUCT AND/OR SERVICE OF CAR-PART.COM (INCLUDING AS A RESULT OF ANY BREACH OF ANY WARRANTY, REPRESENTATION OR COVENANT BY CAR-PART.COM), REGARDLESS OF THE FORM OF ACTION, WHETHER IN CONTRACT, TORT (INCLUDING NEGLIGENCE), STRICT PRODUCT LIABILITY OR OTHERWISE, EVEN IF CAR-PART.COM OR ITS SUPPLIER HAS BEEN ADVISED OF THE POSSIBILITY OF SUCH DAMAGES IN ADVANCE. IN ADDITION, CAR-PART.COM SHALL NOT BE LIABLE FOR ANY DAMAGES WHATSOEVER, WHETHER DIRECT OR INDIRECT IN NATURE, THAT YOU, YOUR SUPPLIERS OR YOUR CUSTOMERS MAY SUFFER IF PRODUCTS AND/OR SERVICES OF CAR-PART.COM CEASE TO FUNCTION AS A RESULT OF YOUR FAILURE TO PAY IN A TIMELY MANNER ANY FEES OR CHARGES REQUIRED TO PERMIT CONTINUED USE OR AS A RESULT OF ANY OTHER FAILURE BY YOU TO COMPLY FULLY WITH ANY APPLICABLE TERMS AND CONDITIONS. IN NO EVENT WILL CAR-PART.COM'S LIABILITY IN CONNECTION WITH ANY PRODUCTS AND/OR SERVICES IT PROVIDES TO YOU EXCEED THE AGGREGATE AMOUNTS YOU ACTUALLY PAY TO CAR-PART.COM FOR SUCH PRODUCTS AND/OR SERVICES DURING THE 12-MONTH PERIOD IMMEDIATELY PRECEDING THE EVENT GIVING RISE TO THE CLAIM AGAINST CAR-PART.COM. THIS LIMITATION IS CUMULATIVE, WITH ALL PAYMENTS TO YOU FOR CLAIMS OR DAMAGES BEING AGGREGATED TO DETERMINE SATISFACTION OF THE LIMIT. THE EXISTENCE OF ONE OR MORE CLAIMS WILL NOT ENLARGE THIS LIMITATION ON AMOUNT. These Website Terms, the Master Customer Agreement and any other Applicable Terms and Conditions shall be construed in accordance with and governed by the law of the Commonwealth of Kentucky, United States of America (without regard to principles of conflict of laws), including the application of any applicable statutes of limitations. Any action, suit or proceeding brought by you or Car-Part.com with respect to, or to enforce the terms of, these Website Terms, the Master Customer Agreement and/or any other Applicable Terms and Conditions shall be brought by such party exclusively in the courts of the Commonwealth of Kentucky located in Kenton County, Kentucky, Unites States of America, or in the courts of the United States of America for the Eastern District of Kentucky. By your use of this website (including, without limitation, viewing this website, downloading any Software from this website, viewing or downloading any Documentation from this website, and/or using any of the Services available on this website), you irrevocably submit to the exclusive jurisdiction and venue of said courts. A judgment from any such court may be enforced by any court of competent jurisdiction in the United States of America or in any other jurisdiction in which Car-Part.com provides products and/or services. Any notices to Car-Part.com must be given by postal mail sent to Car-Part.com's headquarters as it is then posted on the website. In the event that any provisions of these Website Terms, the Master Customer Agreement and/or any other Applicable Terms and Conditions are determined to be invalid or unenforceable by a court of competent jurisdiction, the remaining provisions shall remain in full force and effect. 16. Entire Agreement Regarding Use of Website. These Website Terms, the Master Customer Agreement and/or any other Applicable Terms and Conditions constitute the entire understanding and agreement between you and Car-Part.com regarding your use of this website and supersede in their entirety all simultaneous or prior oral or written agreements regarding your use of this website.